Before I show you my new wreaths I want to tell you that I’m working on a Winter Wonderland theme for my fireplace mantel. I hope it turns out as gorgeous as it is in my mind! I’m so excited about this, make sure you come back to see the final result. 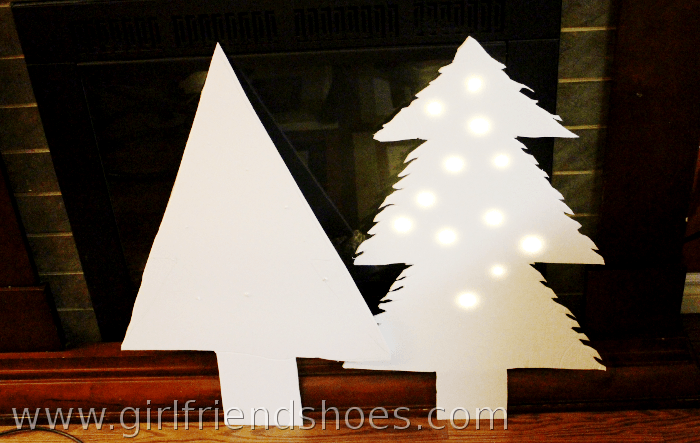 Below are some trees I’ve cut out from dollar store foam boards. 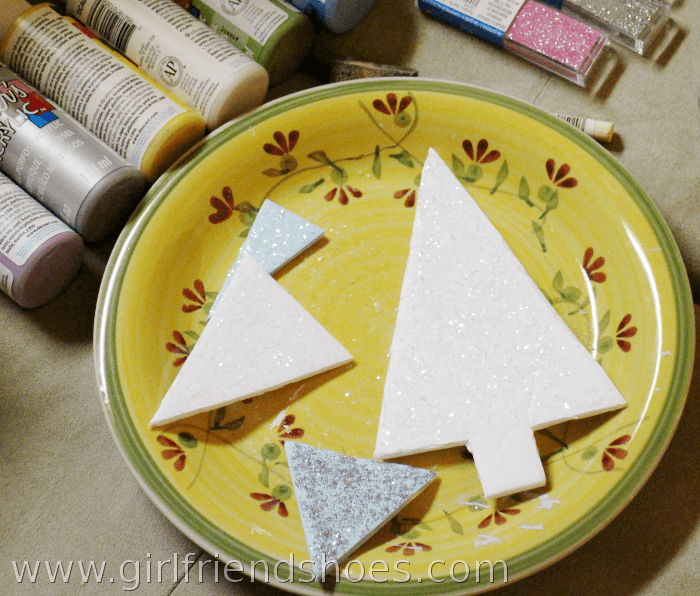 I used modge podge and glitter on the smaller ones and attached little fairy led lights to the back of the large trees. 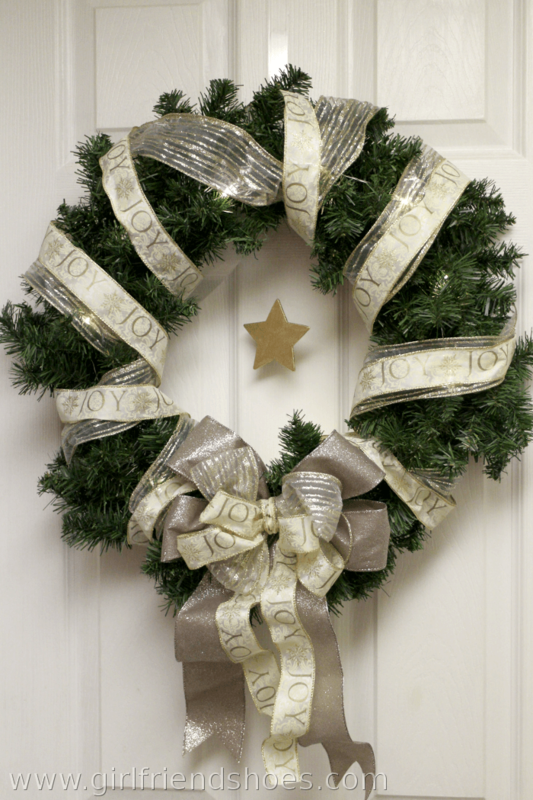 This wreath is my favorite so far. 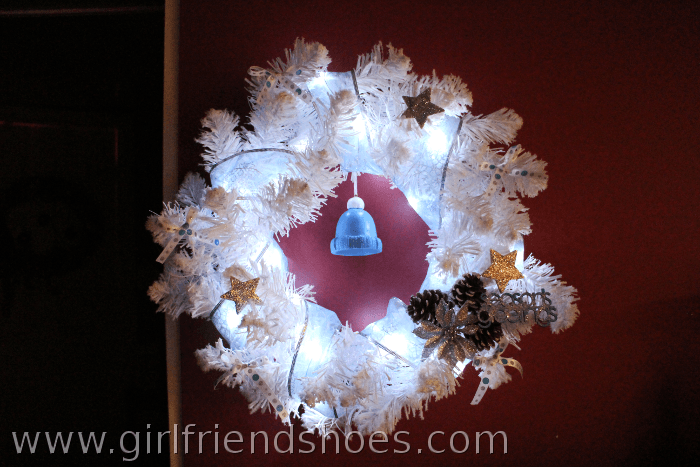 I wasn’t keen on the white when I purchased it at the craft store but as I decorated it I was smitten. I painted a little wooden sign and added sparkles, also sparkled some little stars. Sparkles rock. I freakin’ adore the little blue tuque hanging in the middle. I think it’s because it has a pom pom. 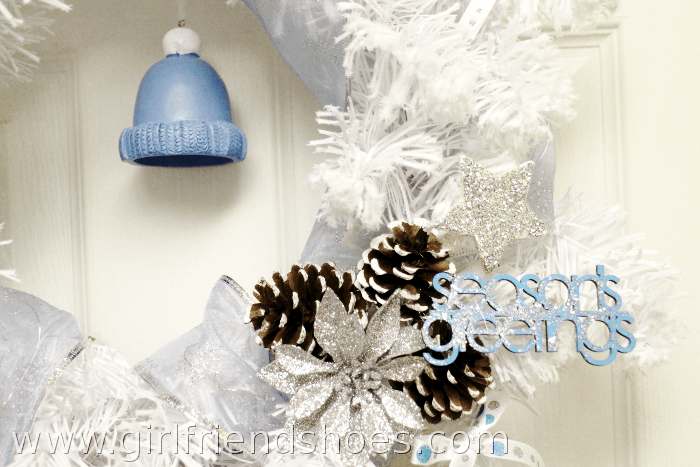 Pom Poms are almost as cool as sparkles. I wanted to show you what it looks like lit up in the dark, isn’t it magnificent?! I am just ga-ga over this one. I struggled with the bows I will admit. After looking up numerous tutorials and not getting it right I just winged it and luckily they turned out. The tamest yet most classic of them all is this one. Green & gold. 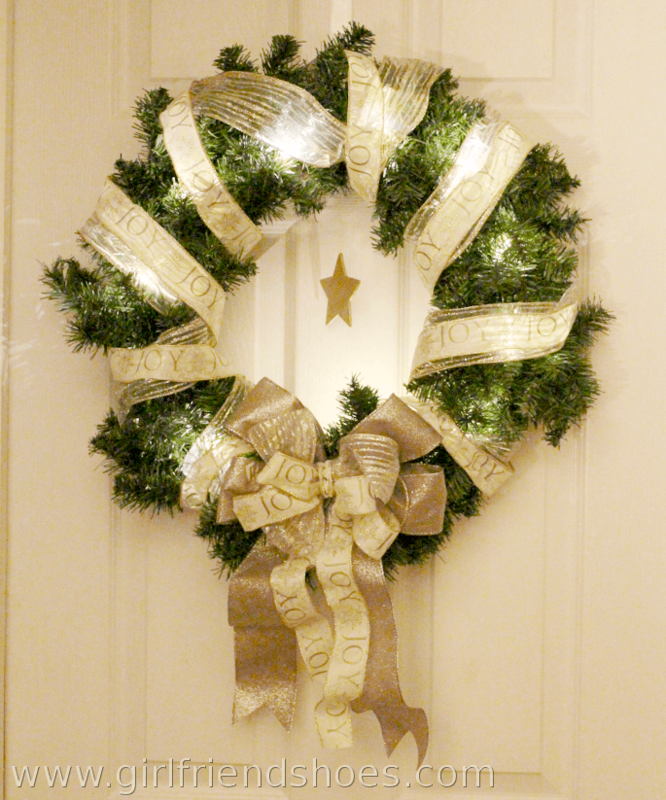 I’m happiest with the bows on this wreath and not only does it look beautiful in the day time but lit up it looks even more pretty. 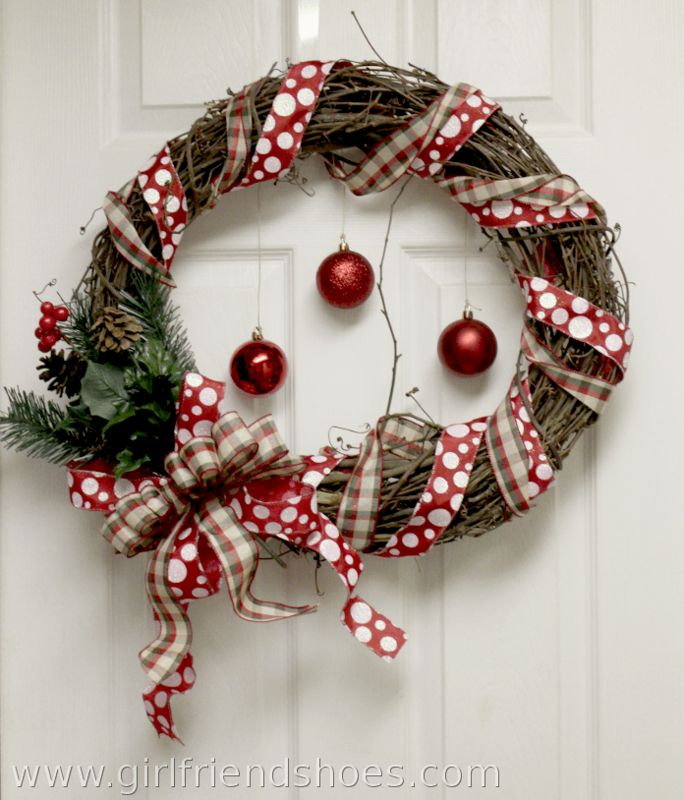 I hope you like my Christmas wreaths, I’m having a blast making them. If I would have thought ahead of time I could have signed up for a craft show or something to try and sell them. Don’t forget to pin your favorite! Also, come back soon to see my winter wonderland mantel.